I'm home from a fantastic girls getaway to Québec City (ooh la la, that was fun) and ready to keep the giveaways rolling! 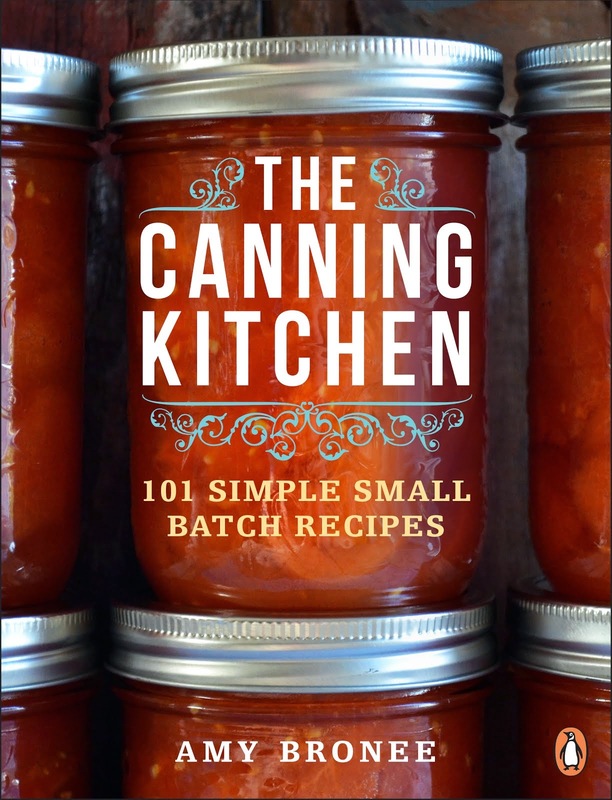 My 2015 Best Gifts for the Home Cook gift guide has some fun and useful ideas for those who love to be in the kitchen any time of year, and I am giving away every item on the list. When I think of being in the kitchen at Christmas, the first thing that comes to mind is baking. It's a time when things like cinnamon, ginger, dried fruit, nuts and sprinkles are front and centre. At Christmas, I like to put a little extra effort into making treats for the kids to enjoy and to share with those around us. If there is any time of year to do some extra special baking, it's at Christmas. Hot off my festive trip to Old Québec, I'm excited to be giving away some fun pâtisserie baking tools from Trudeau to get you trying some French treats in your own kitchen this holiday season. These tools will get you set up for making French macarons, madeleines and decorative chocolate garnishes. 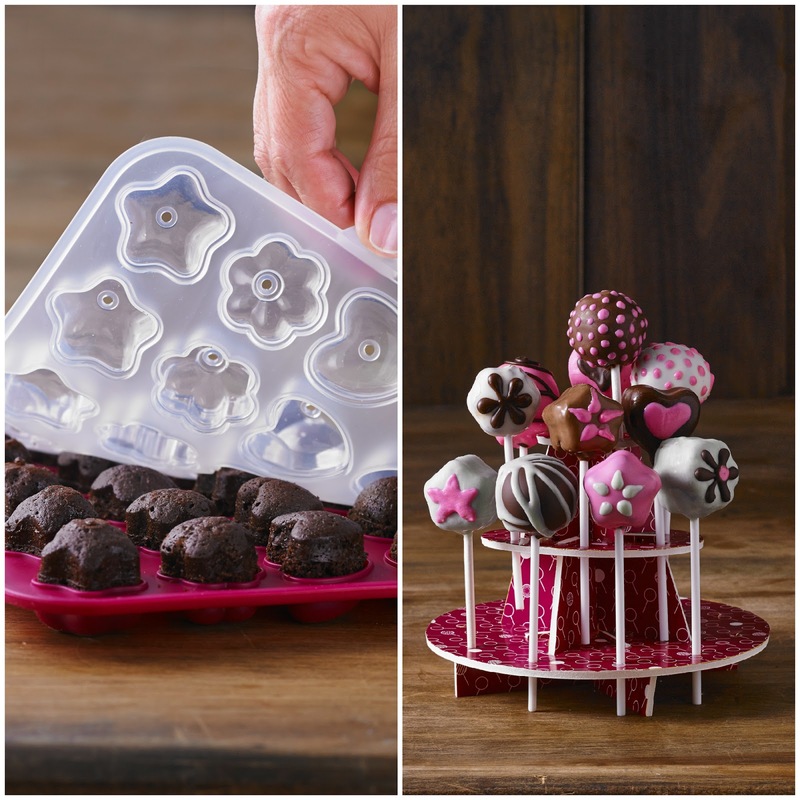 Then keep your holiday treat shop going with an adorable cake pops set and other tools. Who says Christmas baking has to be all about gingerbread? I'm planning to do some non-traditional holiday baking this year in addition to the usual stuff we love. My favourite tool in this set is the cake lifter. I can't tell you how many times I have wished I had something like this when gingerly transferring a cake round from the baking rack to the cake stand. Now I can do that task more easily with this sturdy cake lifter. Love it. To enter the giveaway of a set of pâtisserie baking tools from Trudeau, leave a comment on this blog post telling me which baking tool has you the most excited to win. PLEASE LEAVE AN EMAIL ADDRESS SO I CAN CONTACT YOU IN YOU WIN. One entry per person. Canadian residents only. One winner will be selected randomly on Sunday, December 13th, 2015 at 9 p.m. Eastern/6 p.m. Pacific. 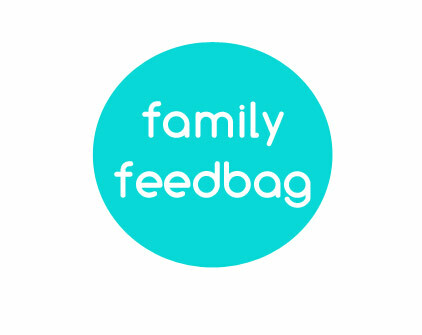 The winner will be contacted directly and announced on Family Feedbag and its associated social media channels. I think any of these told would be wonderful to have but I already have my heart set on the icing syringe. I envision many uses for it. I love, love, love the cake lifter!! Thank you for the generous giveaway and the chance to win. I love the madeleine pan. 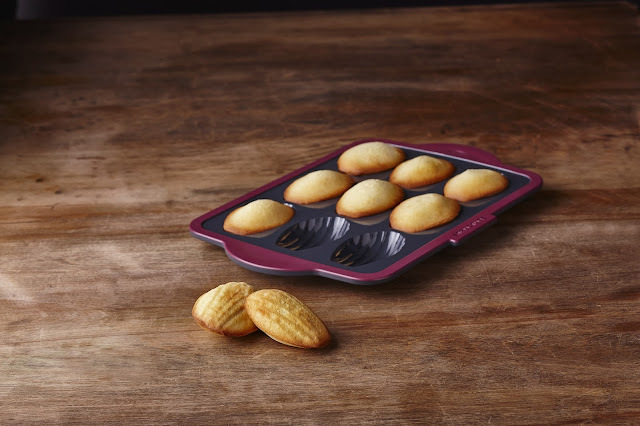 The madeleine pan, for sure - I can never allow myself to buy one (because there's always something else that I need more), so winning one would solve that problem. 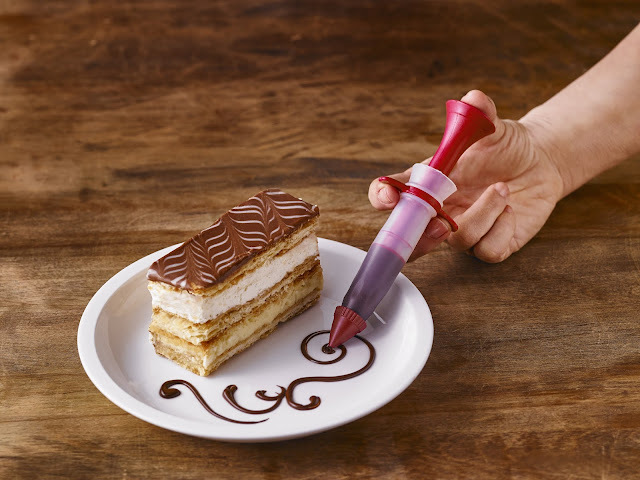 Definitely the icing syringe but everything looks awesome! I think the cake pop holder looks great. Like others i think it all looks fun. I'm most excited about the cake pop mould! I also would love the cake lifter. I'm terrible at moving, lifting, flipping... it's my weakness in the kitchen -- so I love anything that makes it easier. 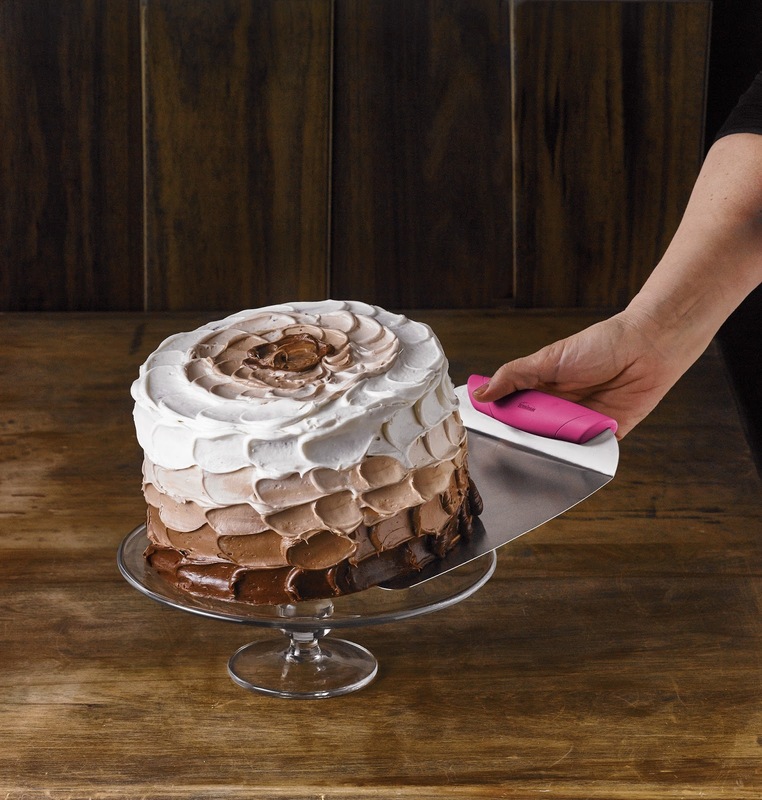 The cake lifter seems like an amazing little tool!! I have always wanted to try making macarons, but I keep putting it off. I think this mat would really give me a push to finally enter the wonderful world of macaron making. I'd say the madelaine pan. Wow look at the cake, wish I could have a piece right now. Love the genius of the cake lifter but have always wanted to make beautiful little madeleines. How could I not have known there is such a thing as a cake lifter?! I always ice on the platter and then try to clean up the excess icing around it-this seems much better. It sounds like this is THE one to have, so I'd love to win it! Thanks Amy! It's my New Years Resolution to make Madeleines and Macarons! 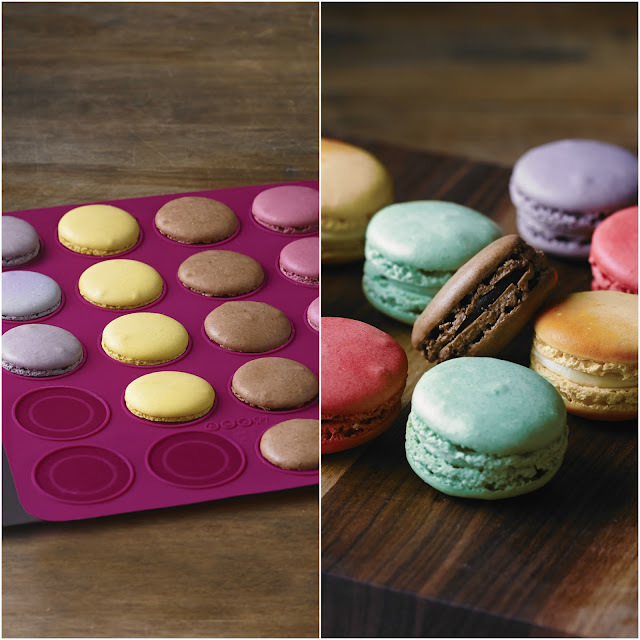 Love the little shaping mat for the macarons and of course the traditional madeleine pan!